Product development across industries, but especially in the automotive sector, is becoming more and more complex. With growing consumer demand for technologically advanced features and customized products, developers are forced to manage the development of increasingly sophisticated embedded electronics and software. Products or services are built with a network of specialized supplier companies, a trend which is only set to accelerate as technological advancement requires competences different to those of traditional car manufacturers. Nowhere is this more evident than in the automotive industry and the automotive supply chain. With multiple suppliers contributing to the same end product, the automotive industry was among the first to recognize the need for a way to verify the quality of supplied components. The use of maturity models such as Automotive SPICE® and the Capability Maturity Model Integration (CMMI) have become fundamental requirements. As the automotive supply chain is spread across the globe due to geographically dispersed manufacturing facilities and suppliers, there is a need to ensure the quality of all components, wherever they come from. With increasingly stringent regulations, this is not only measured based on the reliability and safety of that component, but rather the processes used during its development. Maturity models help measure and compare the quality (or maturity) of development processes. With regards to the automotive industry, the two maturity models mentioned above dominate, and typically suppliers work with both models. The Automotive SPICE model is an organizational tool designed to evaluate an organization's methods and processes against automotive industry best practices. Its two fundamental aims are process maturity assessment, and continuous improvement. Based upon the results, the model provides a maturity rating (which is effectively a process and capability rating), enabling OEMs to determine supplier suitability, and suppliers to improve their processes to achieve a higher leve of process maturity. 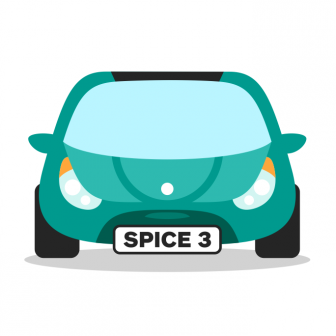 Since 2005, when the Automotive SPICE model was derived from ISO/IEC 15504 and first published, many car manufactures have adopted ASPICE to evaluate both software and electronics suppliers. ASPICE is, essentially, a set of technical documents that guide software development processes, while also applying to relevant business management functions, basically making safety and reliability an organization-wide priority. Based on safety and reliability, assessed processes will be given a maturity level ranging from 0 to 5 using the Process Assessment Model (PAM). A maturity level of 5 means that the company applies a complete and systemic approach to quality, adhering to the requirements of ASPICE, and implements innovation to further optimize processes. Continuous improvement is, therefore, a basic requirement of this highest level of maturity. Naturally, achieving process maturity in automotive development takes immense expertise, effort, and the right tools to support development and the continuous improvement of processes. codeBeamer ALM can greatly assist compliance with the requirements of Automotive SPICE. Its architecture and capabilities allow for process control, transparency & traceability, and quality management throughout the entire lifecycle. Traceability and a complete change history on all work items are automatically guaranteed, and reporting is greatly simplified. 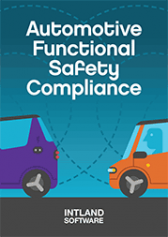 Preconfigured for automotive compliance, Intland's Automotive ISO 26262 Template helps developers and suppliers in the automotive sector ensure the quality and reliability of their end products while saving development time and costs. To learn more, contact Intland Software, or download a free evaluation copy of codeBeamer ALM.